This eye-popping investment should be seen as a wake up call to the United States. China’s agricultural commitment is three times the U.S. Department of Agriculture’s total 2016 outlay of $148 billion – a spending level that hasn’t budged in years. In fact, 2016’s outlay is down significantly from $156 billion three years ago. 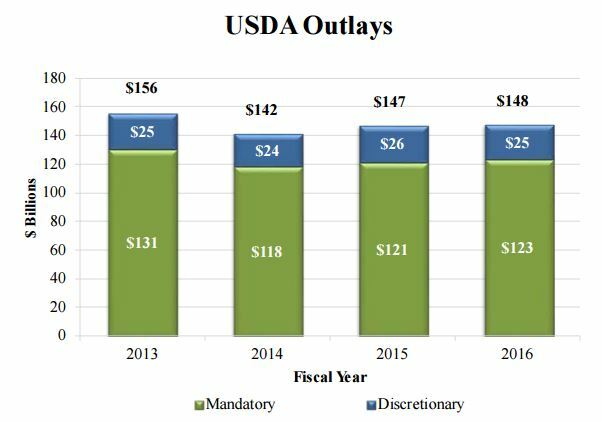 Moreover, the discretionary portion of the USDA’s budget, which funds research among other things, has been nearly constant at $25 billion for seven years. Yet research-driven innovation is pivotal to creating a sustainable and resilient food and agricultural system. Sustainable agriculture practices are catching on in the U.S. More and more farmers are optimizing fertilizer use, planting cover crops and reducing tillage to improve soil health. Ranchers are experimenting with raising livestock on grasslands in ways that sequester carbon. And major food companies and retailers are supporting and encouraging farmers in these practices. But if we’re going to meet a ballooning population’s food needs in ways that improve our environment in an era of increasingly erratic weather, we’re going to have to step up public research investment to solidify early progress in these areas. Here are three areas that could use a boost. Farmers need economic data on yield and cost benefits that they can expect from specific conservation practices such as planting cover crops, optimizing fertilizer use and reducing tillage to help them make decisions. USDA would be wise to expand research into measuring the economics and long-term benefits of those practices including the role they can play in enhancing a farm’s resilience to climate change-related weather events like drought, heat and floods. Expanded research is needed into effective, low-cost ways to track and measure environmental outcomes from agricultural conservation efforts. Effective, accessible tools for tracking reductions in greenhouse gas emissions and nitrate leaching at the farm, and the corresponding benefits to watersheds and regional environments, would help farmers, food companies, consumers and government. Bottom-up measurement across tens or hundreds of thousands of farms is prohibitively expensive. But it is very difficult for regional top-down measurements of greenhouse gas fluxes or nutrient loads to separate contributions from agriculture and those from other major sources. Innovators in Silicon Valley and beyond have produced an array of soil sensor technologies that farmers can deploy on equipment as well as satellite-based remote sensing apps. Expanded public research is needed on the role these technologies can play in helping farmers manage their soil, water and fertilizer inputs in order to improve both productivity and environmental outcomes. The U.S., like other major agricultural countries, must figure out how to feed more people with no increase in arable land use in the face of ever worsening climate challenges. Greater U.S. investment in enhancing the sustainability and resilience of our agricultural system and farmlands would not only deliver significant value to farmers, consumers and natural resources, but also create a model that China could emulate in spending its own large appropriation. If leading nations like the U.S. and China upped their investment and support of sustainable, highly productive farming, then agriculture’s environmental impact would be kinder and gentler while farmers do the critical work of feeding us all. 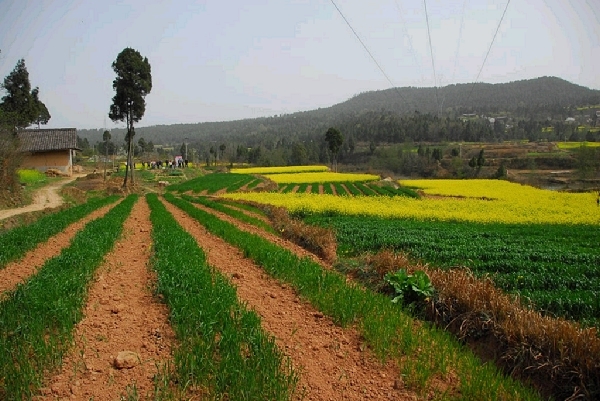 This entry was posted in Climate Resilience, Partnerships, Sustainable Agriculture and tagged agricultural research, China, climate change, conservation, cover crops, data, fertilizer, grasslands, greenhouse gas emissions, investment, no-till, research funding, resilience, soil sensor, U.S. Department of Agriculture, USDA. Bookmark the permalink. Both comments and trackbacks are currently closed.